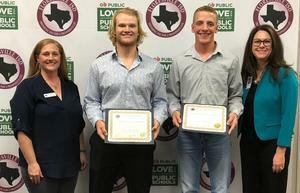 At their November meeting, the FISD Board of Trustees recognized Dylan Pennell and Cole Lebrun with the Community of Character Award. 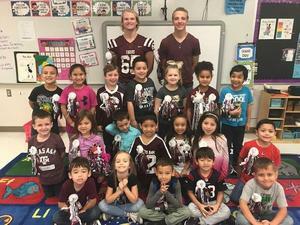 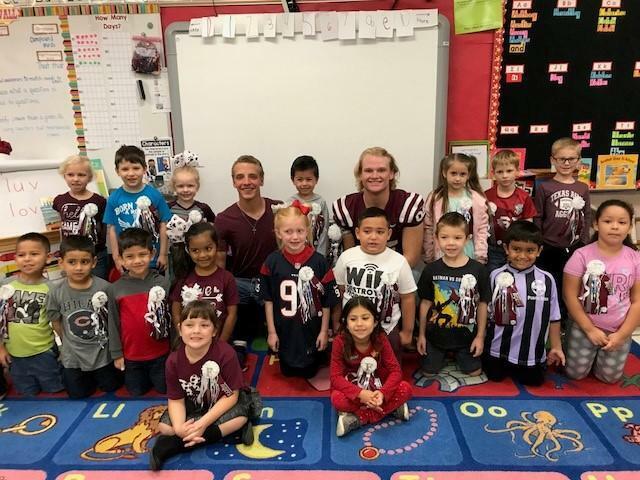 Cole and Dylan work at Floresville South Elementary in Kindergarten classrooms as part of the FHS Work Based Learning Program. 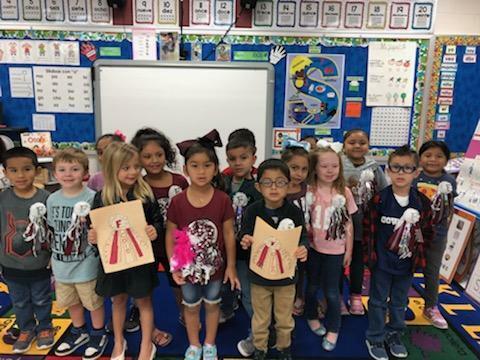 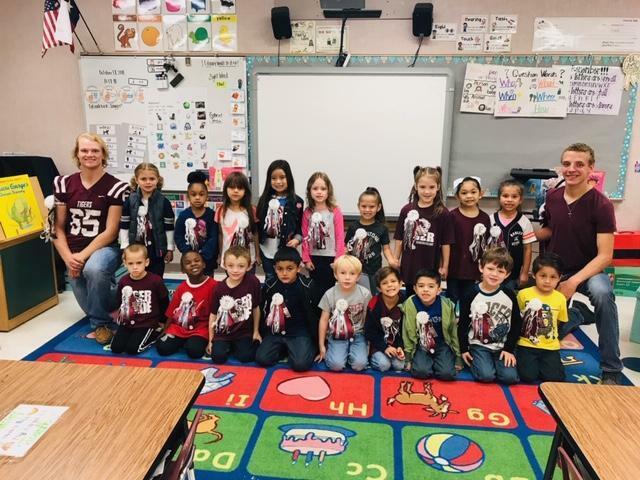 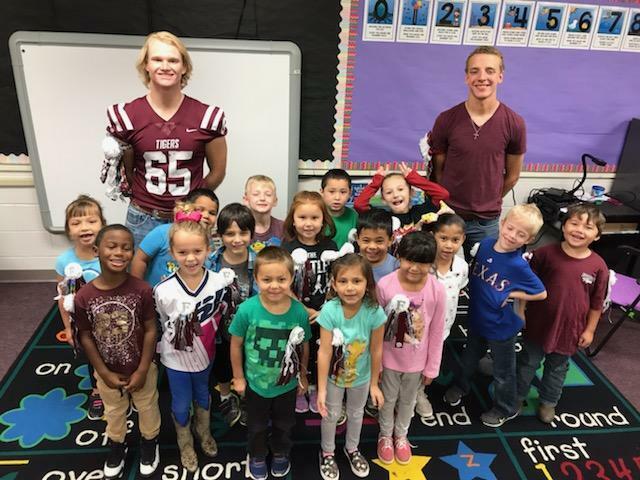 During homecoming week, Dylan and Cole wanted share some Tiger spirit and Homecoming excitement with their kinder friends. 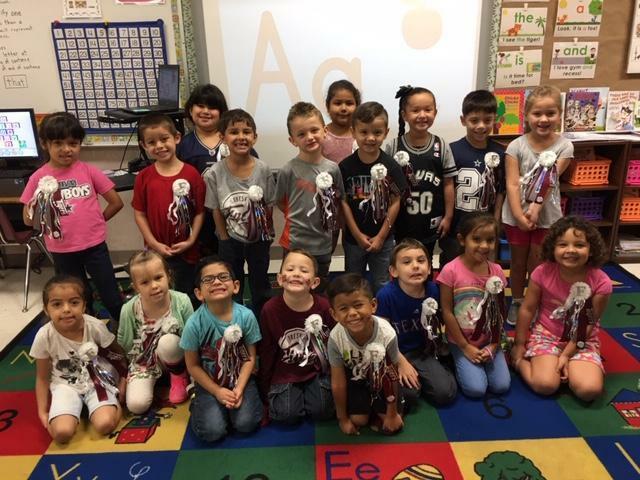 With the help of their mothers and grandmothers, they made a mum for every single kindergartner at FSE! Thank you to Dylan, Cole and their families for making a special memory for these little Tigers and Jaguars!